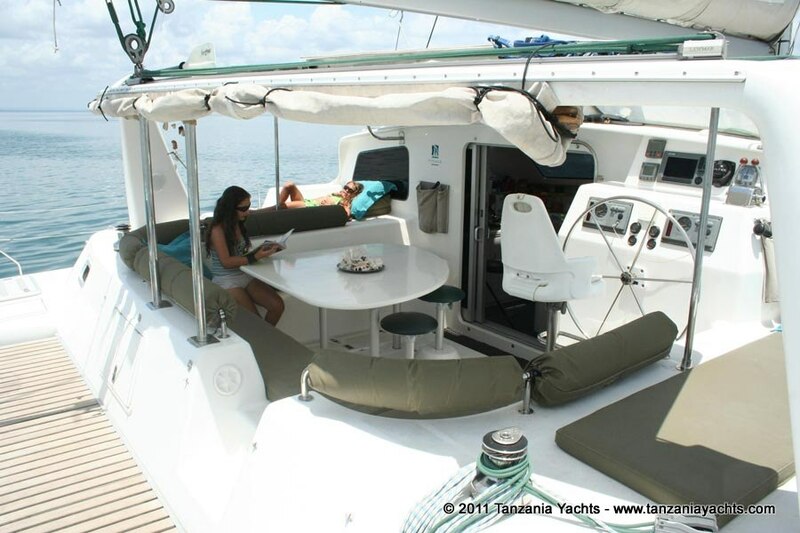 This modern catamaran is a Mayotte 500 class Voyage yacht. She is ready to take you on unforgettable sailing cruises in the Zanzibar archipelago. She is an amazing cat! Her modern features make her the top of the pick in the Tanzanian waters. Accommodation comprises of four twin sized cabins that can easily accommodate up to 8 guests. 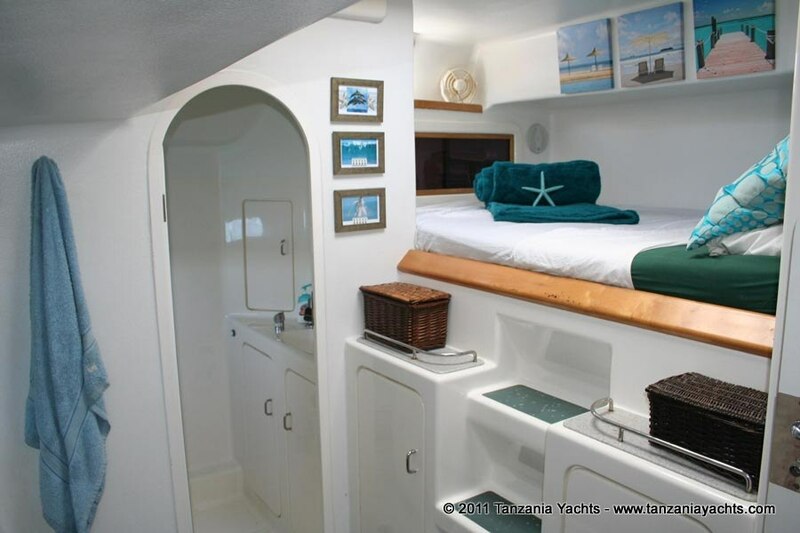 Each cabin has an en-suite head and shower and offers complete privacy when needed. The cabins have a king size bed, ample cupboard and storage space, air-conditioning, a fan and sound system. On-board electric Bauer Junior Dive compressor, 6 sets of Scuba and snorkling gear including BCD's, Regs and 8 cylinders. 2 x Stainless steel gas BBQ's on transom. 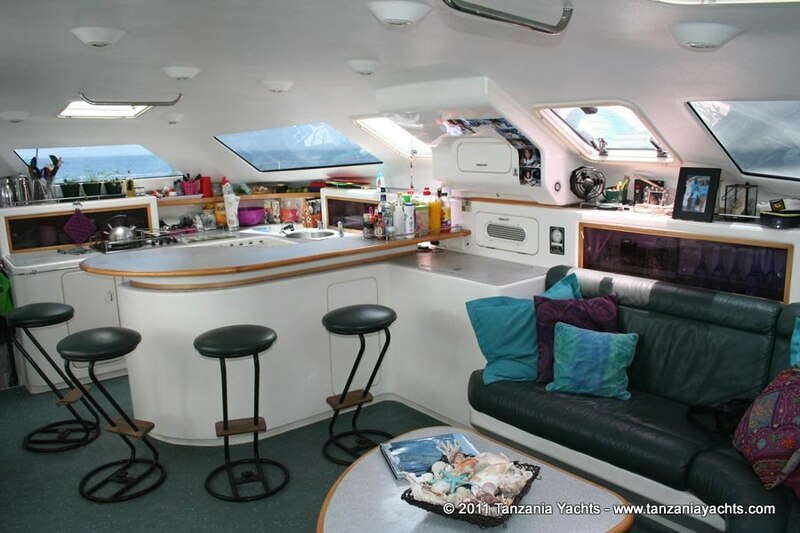 Yacht has just undergone an extensive refit and is in excellent condition throughout, very well maintained. ready to go cruising and is well equipped for charter use. 1 x Fluid Synergy double kayak, 2 x Fluid Vaya kiddies kayaks, 1 x Fishing Kayak.